If you're thinking of investing in a new pool for your home, or want to modernise the one that you already have, Mirage Pools will create a perfect design for your outdoor space that the whole family will love. For daily exercise, playing with the children or grandchildren, or just to enjoy the view, we'll design and install your perfect pool, be it a basic family pool or a spectacular creation. From traditional, formal or freeform pools to waterfalls, spas and infinity pools, we'll make sure your investment is well spent and adds value to your home. 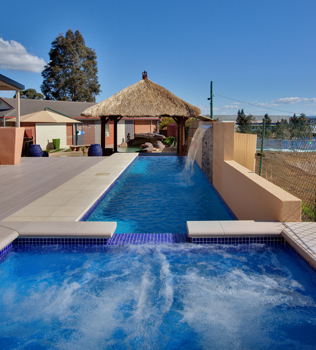 For more details on our mineral water swimming pool or a free consultation call us today.